February 10, 2019, our world lost and heaven gained a wonderful man. James Harry Foster (Eleva) passed away peacefully at HSHS Sacred Heart Hospital at the age of 69, with family at his side. Jim was born on August 15, 1949 in Eau Claire, WI to Harry and Evelyn Foster. He was baptized at the First Baptist Church. He attended Arlington Elementary, Central Junior High and graduated from Memorial High School in Eau Claire. Jim was a proud member of the US Air Force as a Maintenance Analysis Specialist, serving from 1971-1977. He was stationed at Air Force Bases in Lackland, TX, Chinook, IL, Ellsworth, SD, Eielson, AK and ending his service in Marquette, MI. While in Alaska, he enjoyed the many hunting and fishing opportunities the state offered. Jim married Kathryn (Hass) on February 20, 1982 in a private ceremony at the SHH Chapel and enjoyed 37 wonderful years together. As the saying goes “it was a marriage made in heaven”. Jim worked in sheet metal after completing his schooling at Chippewa Valley Technical College. He worked for a variety of contractors in the local 18 Sheet Metal Union. 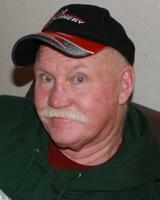 He spent many years at Sheet Metal Enterprises, working mostly at 3M in Menomonie, WI where he retired in 2011. After retirement, Jim was never at a loss for something to do, whether it be riding his motorcycle, trips to town with his black lab (Rosie), or his many projects. He loved anything wood or metal completing many projects including: 3 strip wood canoes, snow shoes, traditional bows, duck and goose calls, furniture, wooden bowls, and two authentic trappers log cabins. When he wasn’t working in the shop, Jim’s love of sweets showed through with his hours spent baking pies, cakes and pastries. Jim was a devout Christian with a wealth of biblical knowledge. He loved to challenge people to a round of trivia. His greatest pride and joy was his son Ryan, whom he enjoyed numerous adventures with. They would make any adventure they did together fun. He so loved following him during his NDSU football career. Go Bison! He always felt blessed having a wonderful daughter-in-law and 3 beautiful grandsons. Jim is survived by his wife Kathy, son Ryan (Cassie) of Mandan, ND, grandsons Weston, Jase, Bridger, sister Kathy Evans of Eau Claire, brothers-in-law Steven Hass, Franklin (Jeri) Hass of Fairchild and many nieces and nephews. He is preceded in death by his parents, sister Connie Simonson, brother-in-law Jerry Evans. Jim was a friend to many. He was gifted with a sense of humor without even realizing he was being comical. He had a unique way of putting a little twist and embellishment on any story he was telling, while still making it truthful and leaving everyone smiling. Funeral service will take place at 11 a.m. on Friday, February 15, 2019 at Jacob’s Well Church, 3211 N 50th Ave, Lake Hallie, WI. Visitation will take place on Thursday, February 14, 2019 at Hulke Family Funeral Home & Cremation Services from 4 to 7 p.m. and on Friday, February 15, 2019 at church from 10 to 11 a.m. Burial will take place at 2:15 p.m. on Friday, February 15, 2019 at Rest Haven Cemetery, Town of Washington, WI. I am sorry to hear of the passing of another classmate; one that I have known since first grade at Arlington Heights. I also remember the weekends spent ice skating at Lee Street and Boyd Park, sledding down the hills at the end of my block, and my sisters and I spending our pennies at Jim's dad's store (located where Arnies Garden Center used to be). I remember playing countless games of 'marbles' with Jim during recess and lunch, losing some of my great cat-eyed shooters and even a few steelees. He was very focused in winning; and win he did!! I also remember Jim being a HUGE Yankee baseball fan. When they played in the World Series in the mid-50's, Jim sped home on his bike to watch the game, came back late from lunch, and talked about his favorite players all afternoon. That was an exciting time for him; probably not so much for our teacher. I don't remember if the Yankees won that series or not. Jim and I lost touch in high school, but I have some great memories of him. He will be missed by everyone who knew him. My condolences to his family; Rest in peace, Jim!! Jim was one of my best friends in grade school at Arlington Heights .... quickly remembered Jim in his Cub Scout uniform ..... eating with Jim and his parents at his home by the store. Unfortunately, at Central Junior High I lost contact with many friends. I was one of many who loved to visit his father Harry and Jim at the store .... and drink Coca-Cola. Another classmate gone too soon. I remember Jim from high school and always thought he was a nice person. Thoughts and prayers for his family. RIP. So sorry to hear of Jim's passing. Another Arlington Heights friend. Wow that is a terrific loss definitely too young. He was a great friend in high school we had so much fun together for a long time he went to the same church as my brother and his family in Eau Claire so when I would come back and visit I would see him at church my heart goes out to the family what a loss. I do love the fact of knowing that Jim was a staunch believer in Jesus Christ. I have to add that many of us were avid marble players in the playground at Arlington Heights. It is a pleasure to recall memories of Jim. It saddens me to loose yet another Alington Heights comrade. I thought he was such a fun and commical kid (which got him into trouble more that once ), and after reading his obituary, that whimiscal part of him carried on through his life which makes me smile. We will miss you Jim. My condolences to his family and may he rest in peace. Today was Jim's funeral, I am in the Honor Guard through the American Legion and played Taps. Thank you Ann for your service and letting us know you were on detail for the funeral. We've been getting far too many of these emails lately . . . RIP Jim.